Deep in the woods, there is music playing – the animals are all putting on a forest concert and dancing around in a circle. 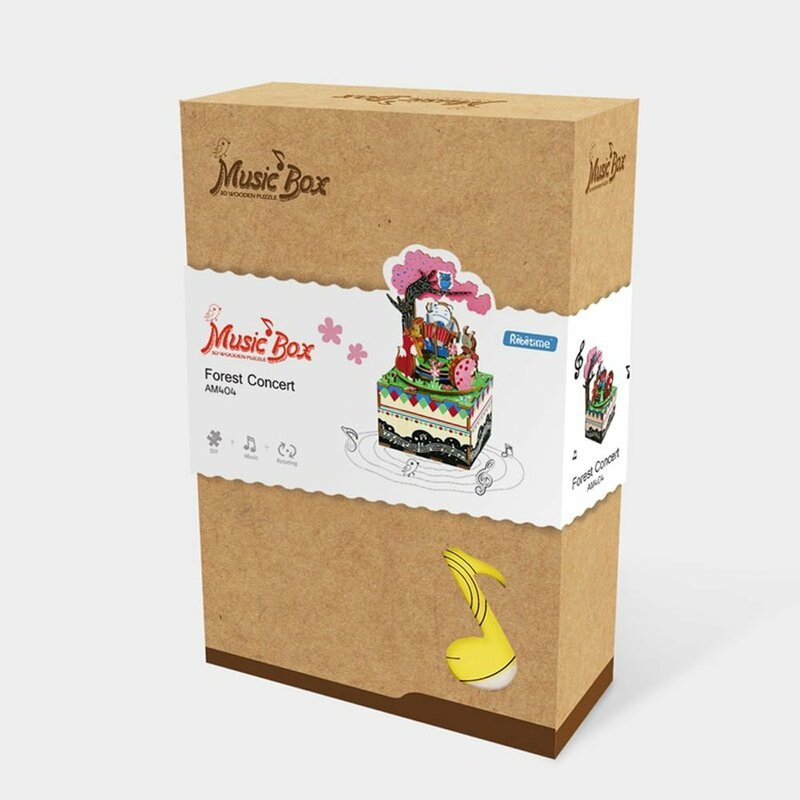 This make a music box kit is delightful – a clever construction kit that will get everyone involved and with a amazing end product. Just press the laser cut wooden pieces out from the boards and slot them together to make the main structure. The motor is added, which plays the tune and makes the moving parts come to live – just wind it up and watch it turn! 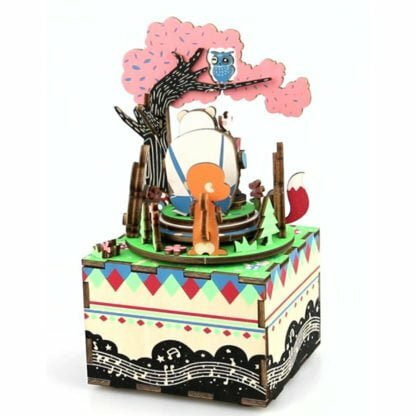 There are lots of decorations to add, all using wood glue that is provided in the kit, and piece by piece, the music box comes together. We love the motion of this design – the animals all look so happy!